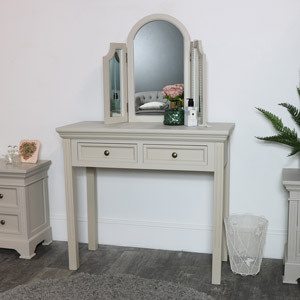 Add the perfect storage solution to your bedroom with this large double wardrobe from our incredibly popular Daventry Taupe-Grey Range. 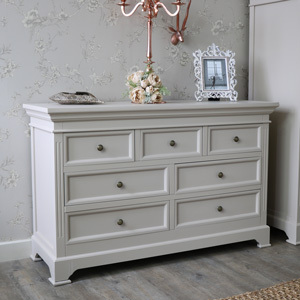 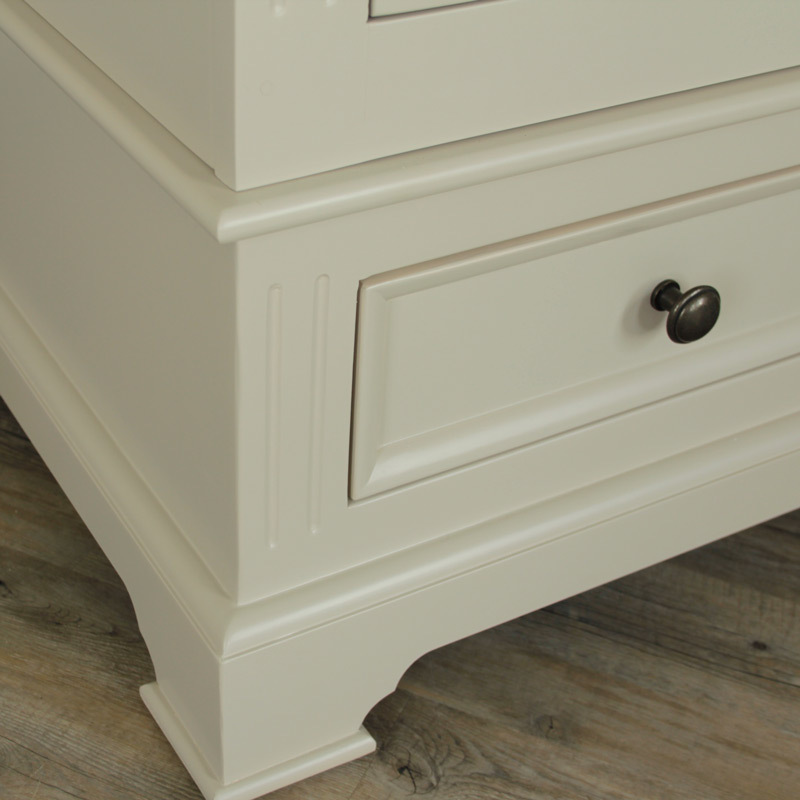 Perfect furniture piece for a French style bedroom. 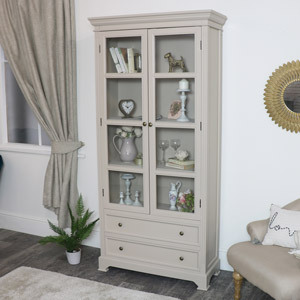 Beautiful country style large double wardrobe with double doors and two drawers giving lots of storage for clothing and shoes. 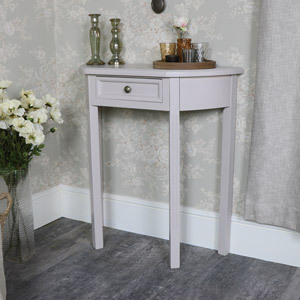 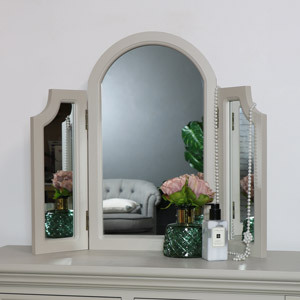 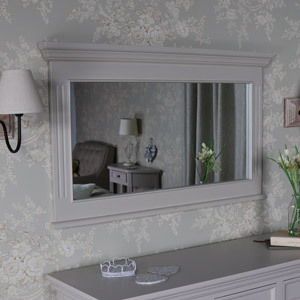 Painted in a taupe-grey colour that offers neutral tones to fit in with many deocrs and colour schemes. 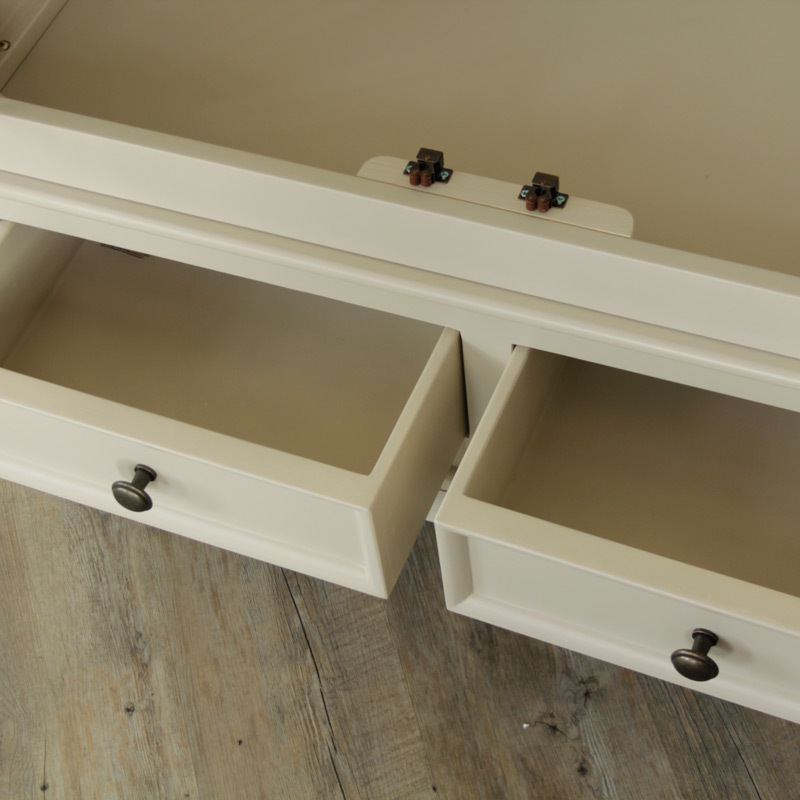 With a taupe-grey hand painted finish and made from wood, the wardrobe is finished off with antique style button handles. 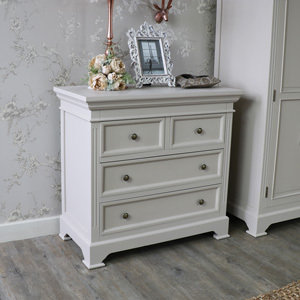 Add the perfect storage solution to your bedroom with this large double wardrobe from our incredibly popular Daventry Taupe-Grey Range. 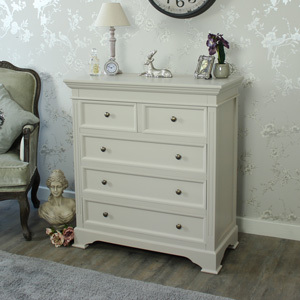 Perfect furniture piece for a French style bedroom. 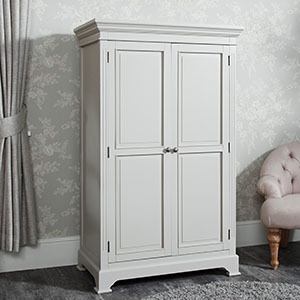 Beautiful country style large double wardrobe with double doors and two drawers giving lots of storage for clothing and shoes. 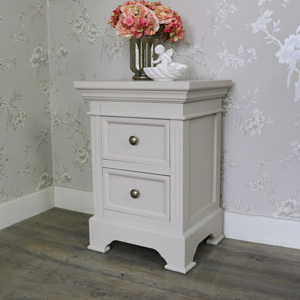 Painted in a taupe-grey colour that offers neutral tones to fit in with many deocrs and colour schemes. 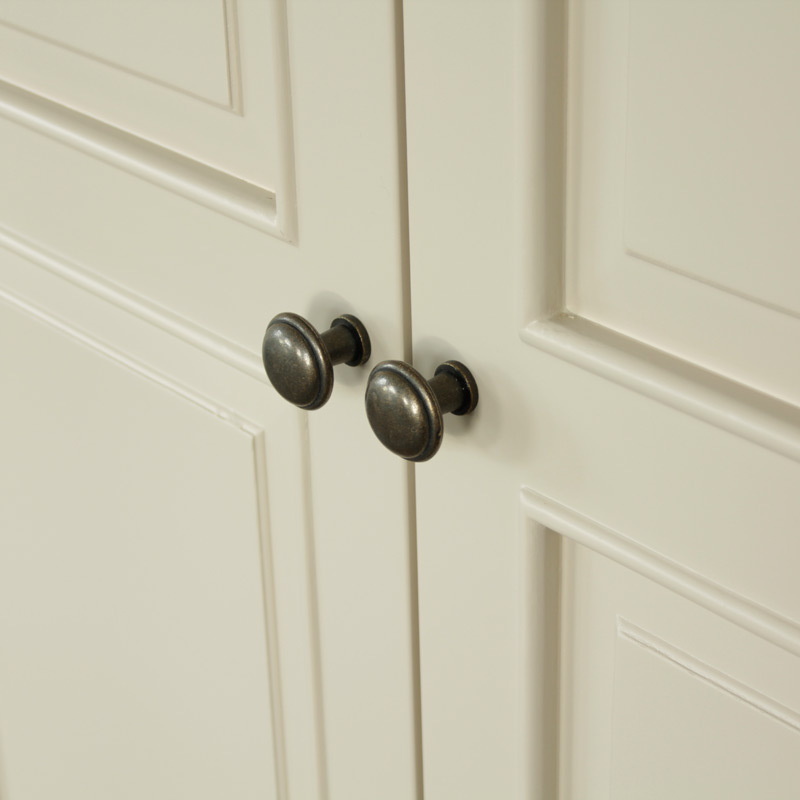 With a taupe-grey hand painted finish and made from wood, the wardrobe is finished off with antique style button handles. 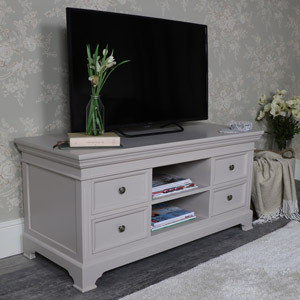 From the Daventry range, this is a tall grey Double Wardrobe which is made from solid wood, painted in a Taupe Grey and it has dark matt button handles and hinges to add to its Georgian look which has been created with classic lines for the cupboard doors, and a shaped pelmet and plinth. 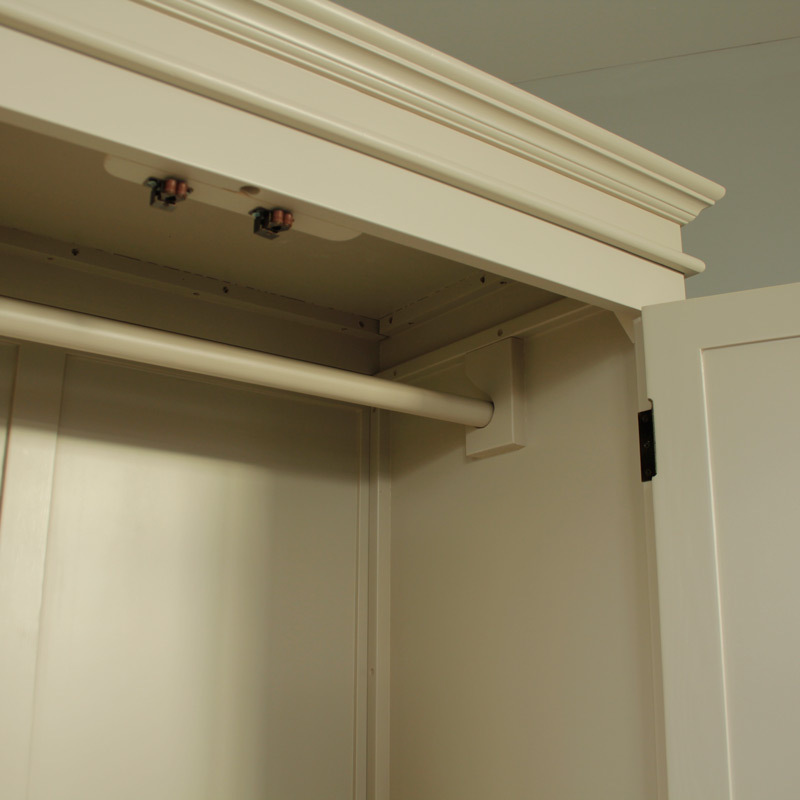 Because of its size, which is 100 cm x 191 cm x 54 cm (width x height x depth),Fully assembled There are 2 half width drawers at the foot of the wardrobe. 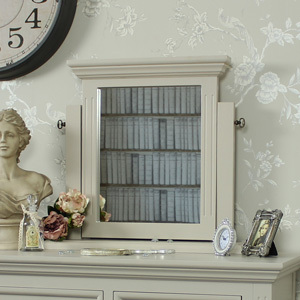 This Grey Double Wardrobe - Daventry Range is fully assembled.